Themeforest Product Screenshots Made Easy! 6 Easy to Edit Photoshop Scenes to create awesome Themeforest Product Screenshots. Smart Objects are included where appropriate to make editing a breeze. 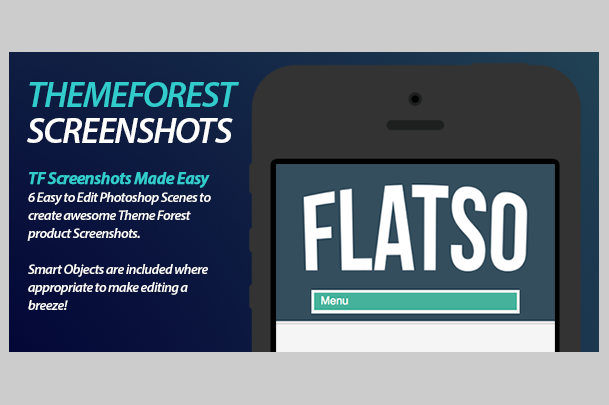 Save some time by using these as a base to some of your Themeforest product screenshots!